During this season I visited some friends and family and I loved these decorations, they look very nice and are easy to make. If you still want to complete your christmas tree, these both are very good options. 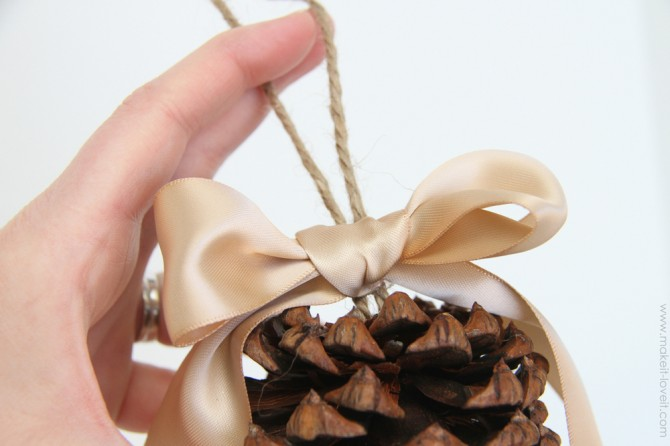 The pine cone ornaments are made in only three minutes each. Just buy some jute. 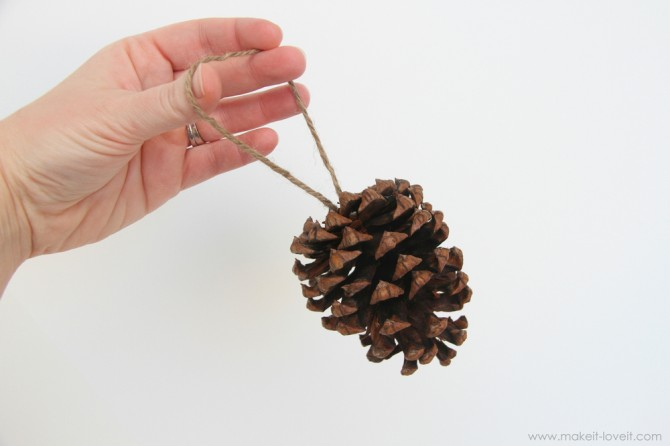 Cut a piece long enough to attach to the pine cone, yet still fit around a tree branch. Then glue the two ends to the top of the pine cone. Just be sure that it hangs nicely once it’s attached. 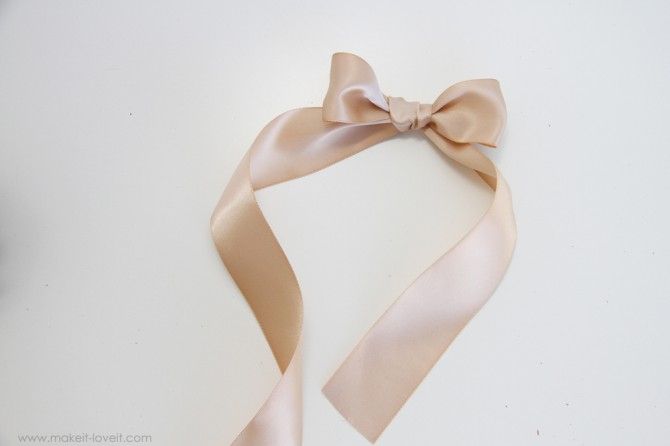 Then tie a bow out of some ribbon (mine is beige satin ribbon, 1.5 inches wide). I found that attaching the bow to the jute actually allows the bow to hang a little nicer. Cut the ends of the ribbon at a diagonal, whatever length you like. 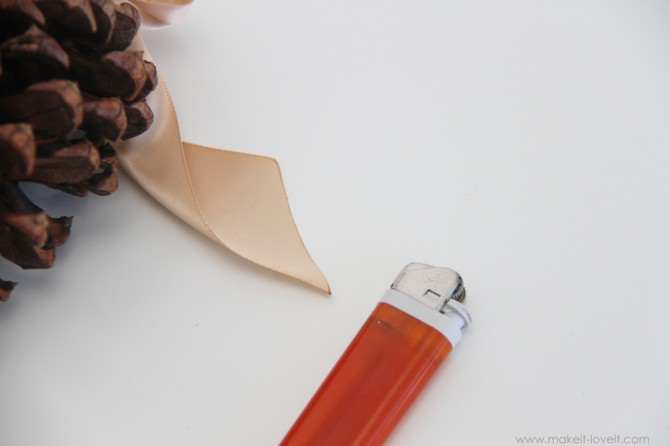 Finally heat seal the ends of your ribbon with a lighter. You are done! 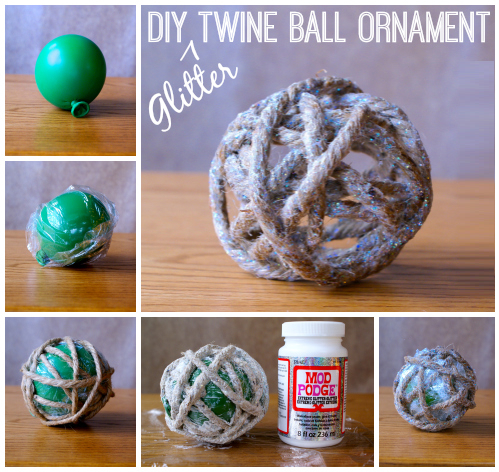 Another option is Glitter Twine Ball Ornaments. Although this is very easily done, it takes a little more time to get it done. You just need some balloons, a glue gun, jute twine, mod podge and clinging wrap. Just blow up a balloon. Make sure it’s circular. Wrap balloon in cling wrap. This is a necessary step; I tried it without the cling wrap, and while the balloon detached from the twine eventually, the dried excess Mod Podge detached from the balloon, as well, leaving an ugly webbing in the nooks and crannies. Don’t skip this step! Wrap jute twine around the balloon. Douse your twine-wrapped balloon in Glitter Mod Podge. Let it dry. Once it’s dried, pop the balloon. This is the funnier part. ;O) Attach a wire ornament hanger or tie on some gold thread. You’re done! Have a wonderful holiday all of you! Merry Christmas! Original Sources: makeit-loveit.com and thinkingcloset.com.